We work with cells from multiple organs and numerous species and can therefore reproduce in the laboratory fast and reliable predictive systems to study the behaviour of drugs, dermocosmetics, food ingredients, nanoparticles and any product likely to have an effect on human health. 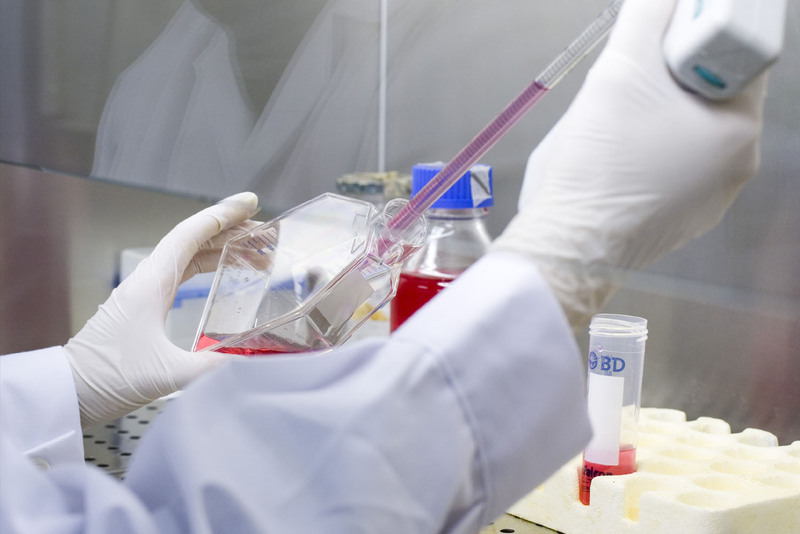 We are experts in evaluating toxicity and effectiveness in cell systems and tissue (ex vivo). We undertake customised studies of the mechanisms of action of an active substance and studies based on conventional protocols according to international guidelines in the field of toxicity and genotoxicity. We also evaluate and predict the pharmakinetic behaviour of in vitro systems: absorption, metabolism, drug interaction and protein binding. We develop our activity under the Good Laboratory Practices (GLP) certificate granted by the Ministry of Health and Social Policy. Immunological profile: phenotypic characterisation studies.